Ajay Devgn, Anil Kapoor, Madhuri Dixit, Riteish Deshmukh, Esha Gupta, Arshad Warsi and Jaaved Jaffrey starrer Total Dhamaal is one of the most anticipated films of the year. Th film, which is the third installment of the Dhamaal franchise, is slated to hit the theatres on February 22. The makers increased the excitement of the audience by recently releasing a full-cast poster of the film and now, Ajay has taken it further by dropping the latest poster in which the cast of the film seems to be stuck in a jungle. Sharing the poster, Ajay mentioned on Instagram, "Join Our Wild Adventure!" further revealing that the trailer of Total Dhamaal will be out tomorrow, i.e. January 21, 2019. 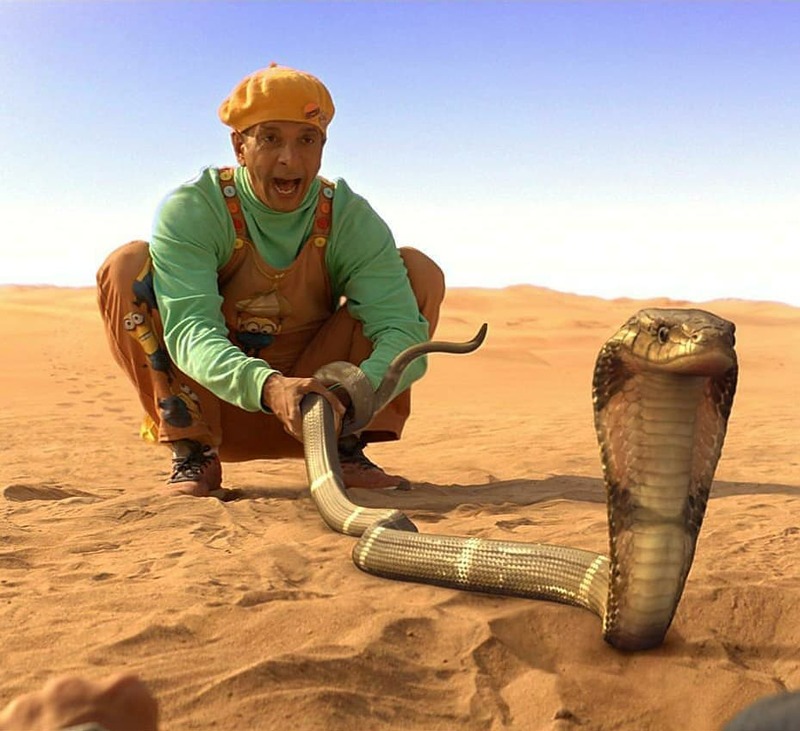 Apart from this, Ajay also shared a series of stills in which he is seen with a lion while Arshad and Javed are snapped with snakes. Going by the posters, we are certain that the film will have wild animals making an appearance and it might be based around a jungle safari. Well, in either case, our excitement levels are rocketed sky-high already. Total Dhamaal sees Madhuri and Anil reuniting on the silver screen after a long gap. Interestingly, Sonakshi Sinha has been roped in to recreate Helen’s iconic number Mungda in Total Dhamaal.